This Werner bed linen made of 100% cotton ensures you some good dreams. 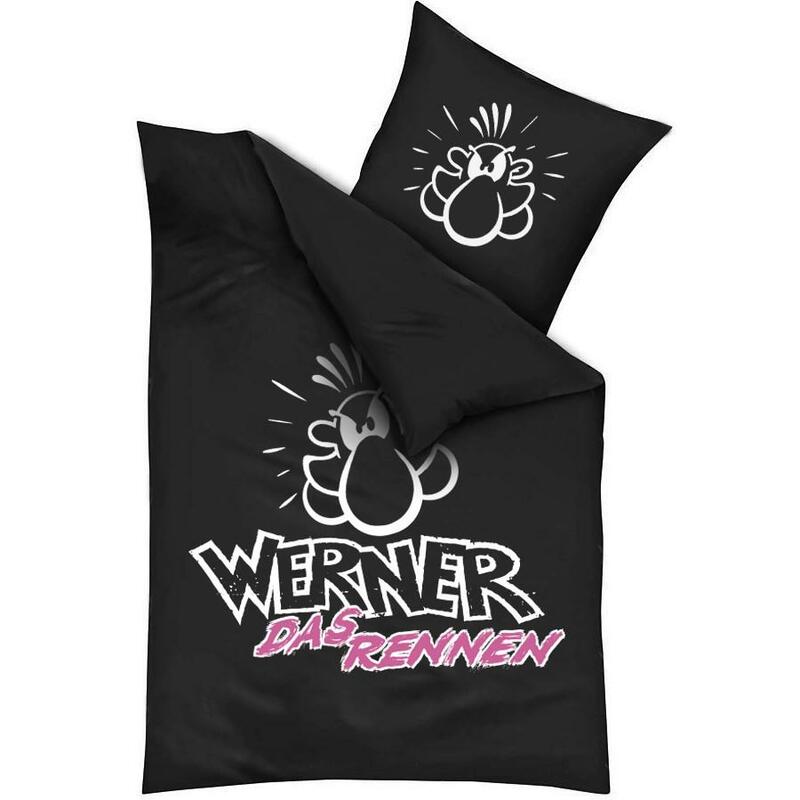 Pillow and blanket are imprinted with the known Werner logo. The basic colour is black. That makes it easy to remember yourself back to the legendary race between Brösel and Holgi.